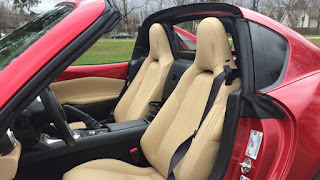 Our friend over at Road & Track, Bozi Tatarevic, has a keen nose for stuff just like today's Miata news, and he spotted an article by the Japanese car magazine Car Watch that details Mazda's upcoming updates. Car Watch actually got to drive the car, too. 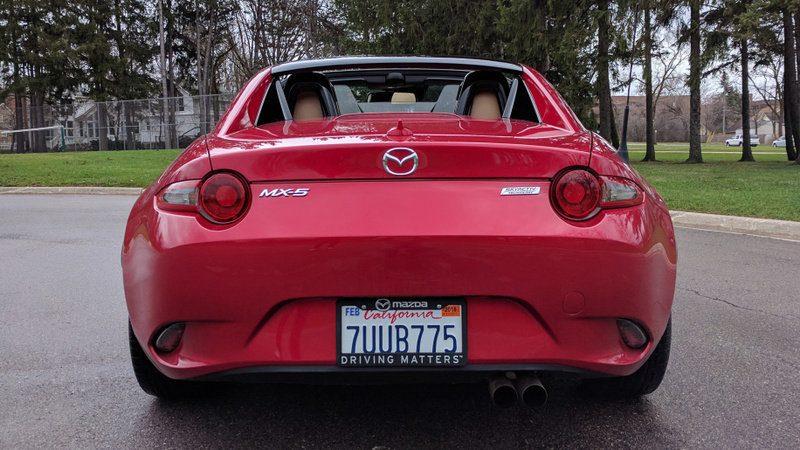 There's a lot to go through, but the highlight has to be confirmation of what we told you earlier this year about a significant power bump: The Miata will indeed get an increase of 26 horsepower, from 155 to 181. But the power's not the whole story. Mazda has increased the redline from 6,800 RPM to 7,500. It's not clear at this point where torque and power peaks are in the rev range, or how these changes affect low-speed drivability, but more revs are almost always a good thing and aren't likely to detract from the roadster's fundamental goodness. Car Watch reports that lighter pistons and connecting rods are fitted to help reduce rotational mass in the 2.0-liter inline-four. Some valvetrain changes were needed to support the higher redline, mainly stiffer valvesprings to prevent valve float. Mazda also changed the shape of the valves and optimized the intake ports to breathe better at higher RPM. Exhaust ports, and the inner diameter of the exhaust ports, were increased to flow better through a new muffler better tuned to the engine's new operating range. This confirms and gives a little more detail to what we reported earlier based on a leaked document from Mazda Canada. 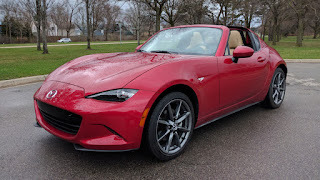 Car Watch also confirms that the revised Miata will get a low-inertia dual-mass flywheel, which should help absorb some vibration, noise and harshness from the higher-revving engine without losing too much of the directness that a single-mass flywheel provides. Mazda usually gets stuff like this right, so while we won't know until we get a chance to drive it whether the DMF feels "right," we're not too worried about it. 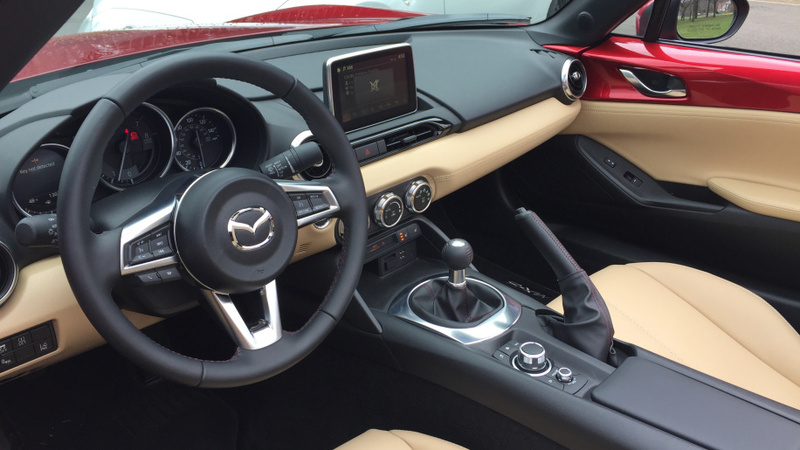 There's also a telescopic steering wheel, a first in any Miata, which has a range of about 1.1 inches. That doesn't sound like much, but it should help folks with longer legs reach the wheel without having to crank the seat forward. Interestingly, Car Watch reports that the telescoping wheel was opposed by some in the company seeking to save every fraction of an ounce of weight, and to get it through, the company apparently had to change some of the material in the upper steering column from steel to aluminum to satisfy the weight-conscious. Little details like these are fantastic. Incidentally, the little 1.5-liter engine that's available in other parts of the world gets a tweak, as well. Sadly, in Japan, you can't get the 2.0-liter engine in the softtop model, only in the RF. That won't be the case here, where the new 181 hp engine will be the only choice regardless of top, as the 2.0 is right now. We can't wait to test the new, higher-zoot Miata, and will let you know when to expect a first drive as soon as we can.